R2004, Patrick O'Connor. 36", M. Rose pink falls with some white veining around signal. Standards a lighter shade with a white suffusion. Very long, showy cream style arms. (Deneb x unknown) x Irish Bayou. 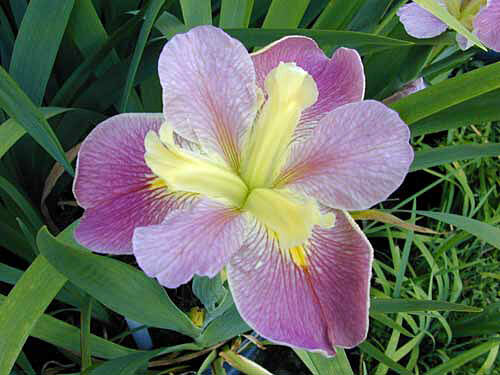 This iris has grown very well for a number of people and wouldn't go away without a name. Vigorous.